Downtown Miami’s full-time population has increased to nearly 90,000, that’s up to 32% since 2010 and 150% since 2000. What does this mean? What a new report by Miami Downtown Development Authority has confirmed: Young professionals are moving and investing on new businesses in Downtown Miami. Restaurant openings, cranes, and traffic snarls are not just a coincidence. Out of this 90,000 people increase, about half of them are young professionals between the ages of 20 and 44. They have filled more than 20 new residential towers, built since the last real estate boom. 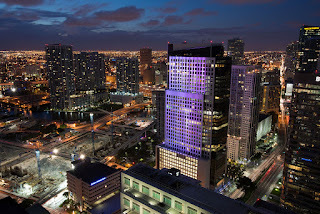 It’s not a supposition, but a fact, that Downtown Miami is growing as days pass by. This is why it has become a great city to invest in, since it grows more economically stable every day. Brickell is one of those places that should come to mind when thinking about investing. It’s a very good deal to buy a property and then lease it to generate annual profits. And since it’s growing daily, you’ll be almost always guaranteeing a rental income from that property.